Whether you have an online or brick-and-mortar business, you must advertise to create brand awareness for your company. Even if your store or business is located in a high traffic area, not advertising to potential new clients can significantly hinder your sales. A portion of small business owners don’t believe they have the funds to advertise, but the fact is that with some effort, you can advertise completely free! We list our favorite three free ways to advertise your business for maximum results. Google is the most used search engine around the world, and while many companies spend thousands or even millions of dollars on pay-per-click (PPC) advertising, it is possible to do so without spending a cent! Google is constantly working on improving its Google Maps and local search results, which is good for business owners! By inputting your business name, address, phone number, website, description and hours or operations, you can increase your inbound advertising for free! When individuals search for services or products they are looking for, such as “hair salon in Dallas,” “best French food near me” or “tutoring services Miami,” Google will direct them to your website. Simply add or claim your existing business listing on Google, verify your account and optimize your Google+ page with reviews and visual and written content to attract new clients! The best part is that even online businesses can benefit from this free advertising feature by listing their company as a service in a particular area. Forming relationships with the press can be extremely beneficial in getting the word out about your business on local blogs, newspapers, news channels and magazines. Anytime you have news — which can include a new service or product, a new hire, a sale or promotion — write a press release to announce it. Press releases do have specific formats, so it’s helpful to learn how to write a press release to appear more professional in the eyes of the local press. If you need a starting point, be sure to check out this template. No article about advertising strategies can omit social media, as that is likely the #1 way to connect with customers online. Using popular platforms — such as Facebook, Pinterest, LinkedIn and Instagram — can create significant exposure for your business. In order not to spread yourself thin and create various profiles on social media without sufficient time to interact with your followers and submit relevant content, choose one to three platforms to focus on. Start by figuring out where your target audience is, and devote your efforts there. The younger generation is likely on Instagram, mothers are on Pinterest and working professionals spend time on LinkedIn. Add photos and videos, share news and communicate with your followers in order to create brand loyalty and increase sales! Go a step further by creating contests or offer internet-only specials! The following three free advertising resources can go a long way in attracting new clients to your company; however, no one can dispute the power of paid advertising. Whether you want to invest in PPC advertising on Google, create paid content on social media or purchase a subscription to a press release distribution site, these efforts require capital. IOU Financial wants to be your partner in growing your business. We are ready to finance your strategies with a loan of up to $300,000 in under 48 hours! Good to read your blog! 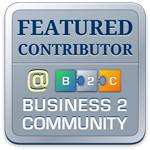 Many thanks for sharing such a great advice on promoting business online. Hopefully people would find best tips from this blog. We’re so glad you liked our post! Thank you for your kind comment. I really liked your blog post…..Good job…Thanks for sharing.